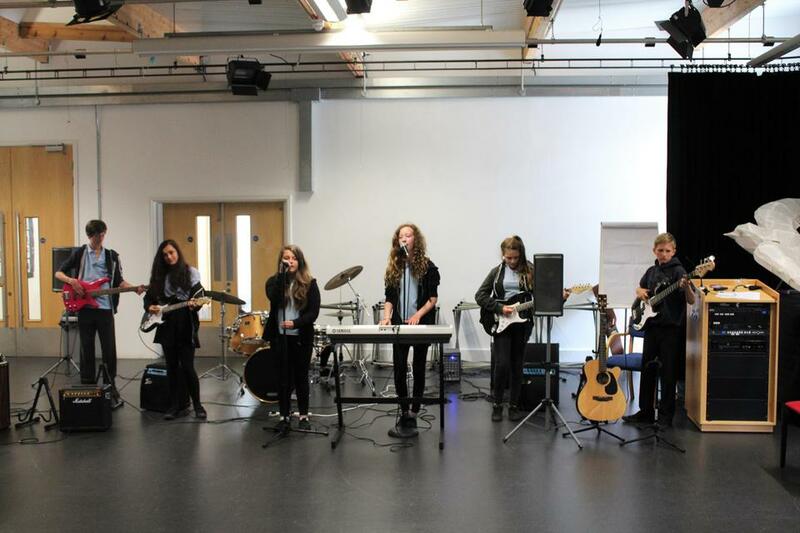 After a term of weekly Skype band coaching sessions, the year 9 band performed for the first time in public to primary assembly this week. 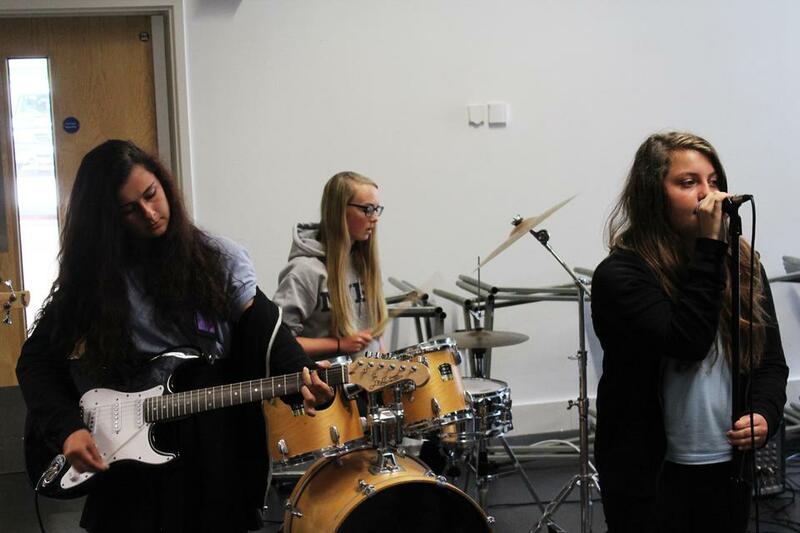 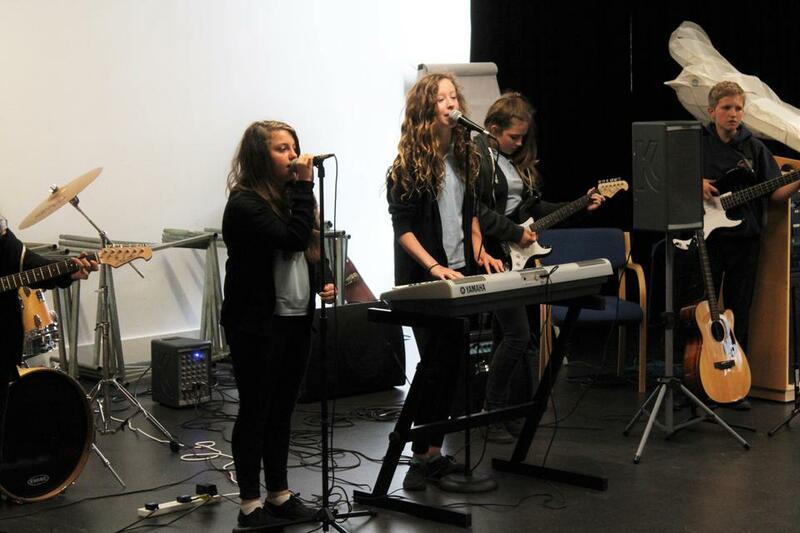 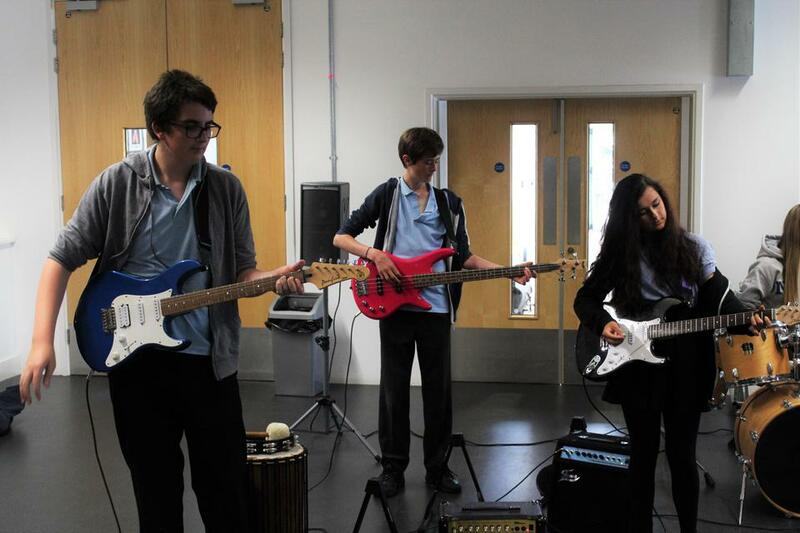 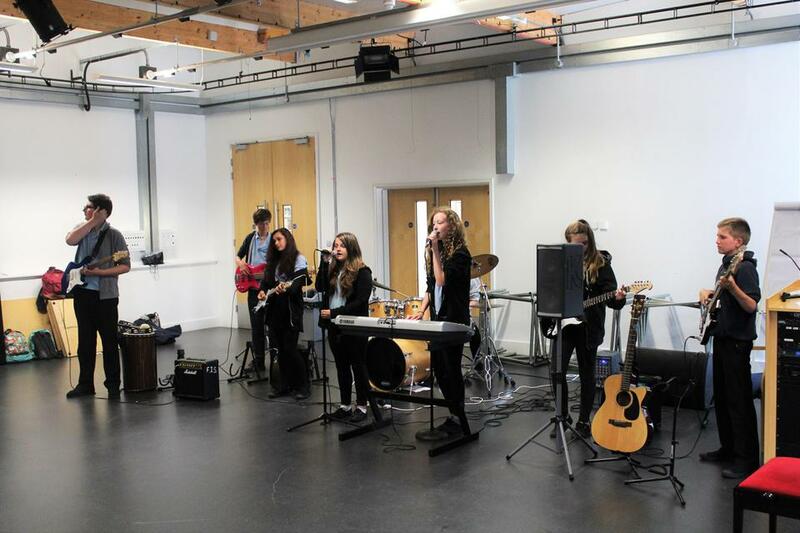 What is remarkable about this band is that most members have had no instrumental lessons outside of the classroom, and have developed their skills as part of the normal KS3 curriculum. 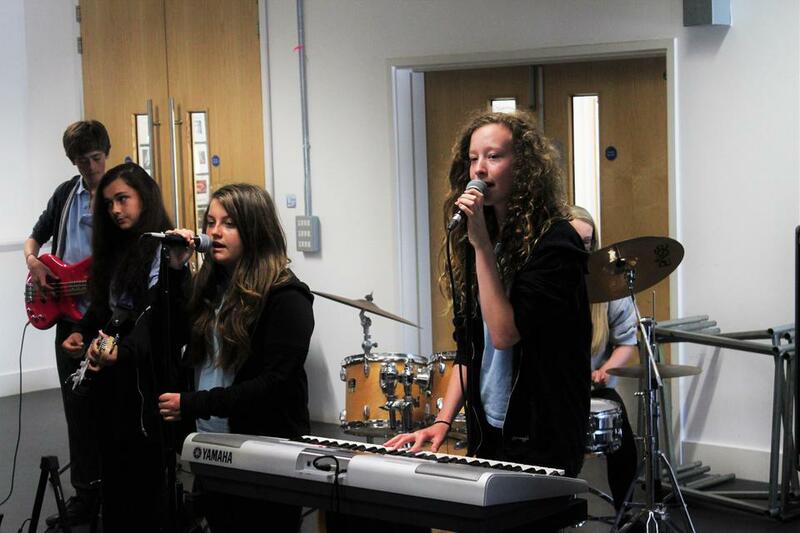 The Skype band teacher, Giles Woolley, is really impressed with their progress and so are we!